New York State Agriculture Commissioner (Acting) Darrel Aubertine announced a product recall for Maya’s Kachori (dry fruit) on the 18th of February 2011. The said product is distributed by Maya Food Incorporated, which has an office at Maspeth, New York. The reason for the product recall was the undeclared presence of peanut, a food allergen. This was discovered during a routine sample testing made by the state’s Agriculture department and market food inspectors. Analysis of the dry fruit product revealed that it contained peanuts, known to be a common allergen, which was not listed as an ingredient of the product. 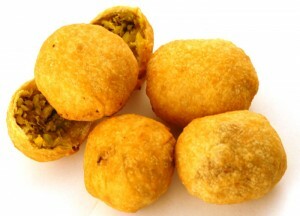 The recalled Kachori (dry fruit) are packed in retail cardboard boxes, with a weight specification of 8.75 ounces. No production code can be seen on the packaging. The product has been distribution to the states of Florida, Connecticut, Virginia, North Carolina, Delaware, Georgia, New York, New Jersey, Massachusetts, New Hampshire, Vermont, Maryland and Pennsylvania. Food allergens such as peanuts can cause serious allergy attacks in people who are hypersensitive to it. Allergy attacks may lead to serious health risks. Prevention is always the best option which is why it is important that a possible allergen always be declared on a packaged food product. Currently, there have been no allergy attacks or any health problems reported that are associated with the recalled product. Consumers who have bought Maya’s Kachori may return it to the store or discard it. For questions and concerns regarding the product recall, the distributor of the dry fruit product can be reached at 718-894-5145.